Increasingly municipalities and governments are banning plastic bags. You can make the switch yourself using paper or re-usable grocery bags. I was at Aldi's on Thursday, 02/21/19 and brought 5 paper bags at $0.07 a piece. I used them and then folded them and plan on using them again. Now that "Eco therapy" has become a thing, perhaps a practice that would decrease guilt, and anxiety about the environment would be to switch from plastic to paper or re-usables. The four factors that contribute to flow = focus, freedom, feedback, four percent challenge. Patricia Hasbach describes "eco-therapy" to help people with concerns about climate change. One of my daughters lives in Pasadena, CA and when she visited in Western New York last September, 2018, she asked me what I knew about "ecotherapy" and whether I was helping people with their concerns about climate change. She was visiting at a time when there were the wild fires in California. Here in Western New York, 10 miles from the south shore of Lake Ontario, people were dealing last summer, 2018, with high lake levels which were destroying lake front property, docks, and boating harbors. One of the things not dealt with in the short interview above is the symptom of "impending doom" that many people struggling with depression experience. 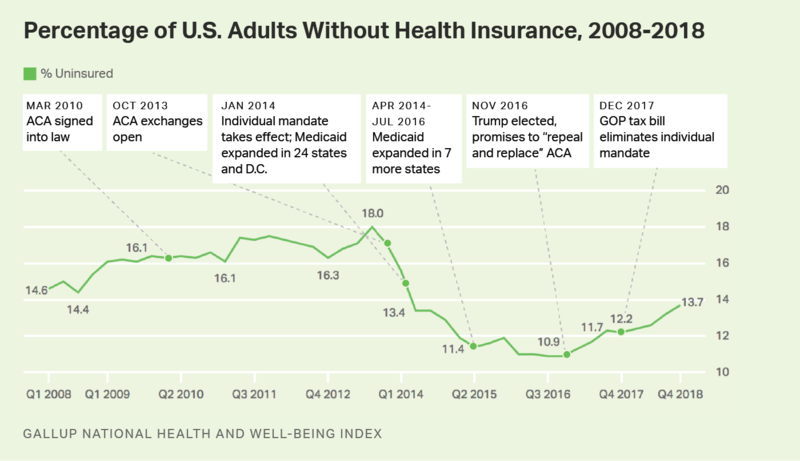 Colloquially, this is the "sky is falling" phenomenon of the Chicken Little children's book. In addition, one can speculate about the general level of anxiety of the population which gets focused on border walls and nationalism as we are on the brink of climate migration which is predicted to increase in the next 50 years in significant ways. The climate denial of Republicans in our Federal and State governments adds further anxiety and angst to a potentially victimized population who believes that their leaders are not working for their longer term best interests on the planet. To what extent do these factors contribute to anxiety, depression, substance abuse and the rise of suicidal behaviors? "Ecotherapy" is not a modality of treatment per se, but it is an attempt to address the contributions of climate change in the course of therapy for other diagnosed psychiatric disorders. The American Psychological Association passes a resolution against spanking. THEREFORE, BE IT RESOLVED that the American Psychological Association recognizes that scientific evidence demonstrates the negative effects of physical discipline of children by caregivers and thereby recommends that caregivers use alternative forms of discipline that are associated with more positive outcomes for children. BE IT FURTHER RESOLVED that the APA engage in competency based public awareness, education and accessible outreach activities to increase public knowledge about the effects of physical discipline on children and knowledge regarding alternative forms of discipline and their effectiveness and outcomes for children and parents. BE IT FURTHER RESOLVED that the APA engage in promoting culturally responsive professional training and accessible continuing education activities regarding alternative discipline strategies and their effectiveness. BE IT FURTHER RESOLVED that the APA support funding for research in the U.S. and other countries on: • The factors that underlie parents’ supportive attitudes about physical discipline; • The factors that lead parents to rely on physical discipline; • Differences in cultural understanding and values, including socially shared beliefs and norms of practice related to the use of physical discipline; • The factors that promote parents’ best practices in supporting their children, and in developing positive parent-child relationships with their children; and • Interventions that may help to diminish parental reliance on physical discipline and enhance parents’ access to culturally sensitive alternative approaches. BE IT FURTHER RESOLVED that the APA encourage efforts to increase access to positive parenting supports for underserved groups. One of the positive things that President Trump has done for the American people and people around the world is make them aware of the prevalence of fake news. Scott Adams, the cartoonist who created Dilbert, and an expert on "persuasion techniques" teaches that 80% of news is fake. One of the definitions of mental illness is to be out of touch with reality. There is "fundamental reality" which is our experience based on the laws of nature wherein we manipulate phenomena and there are consequences apart from our human interpretation, opinions, and meaning making. And then there is "constructed reality" which based on social consensus, norms, selective perception, confirmation bias and projection. Most images and videos fall into the area of "constructed reality" and what is depicted is not "real" in any tangible, concrete sense. Images, as in the case of the map is not the territory, are always fake and not the real thing. The finger pointing to the moon is not the moon. Being able to tell the difference between "fundamental reality" and "constructed reality" is a higher level cognitive function that most people have not attained, but, with effort, can learn. During the last decade, the number of emergency room and hospital visits linked to suicidal thoughts and suicide attempts among children nearly doubled, according to a study in Pediatrics. This was especially true among youth 15 to 17 years of age. Experts say that bullying, trauma, and abuse are often underlying factors. Fortunately, with the right type of support from health care providers and others, children and their parents can find the resources they need to heal and prevent mental health crises in the future. 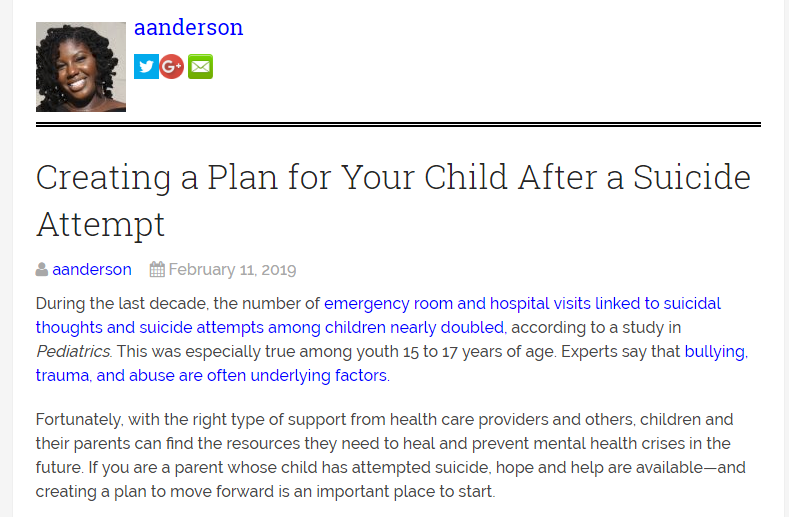 If you are a parent whose child has attempted suicide, hope and help are available—and creating a plan to move forward is an important place to start. Over the course of my career I have done over 15,000 suicide evaluations. It is a myth that if you talk about it the suicidal person will be triggered to engage in suicidal behavior. Just the opposite is the case. Talking with a caring, concerned, trusted person decreases the liklihood of suicidal behavior. Evaluation by a trained professional is always appropriate. This is best done in person. Calling a "crisis hot line" or "support line" can be helpful but is no substitute for personal clinical evaluation and care. Emergency departments around the US are seeing a 39% increase in the number of visits related to sexually transmitted infections (STIs), according to a recent report from the CDC. The flood of patients ending up in the emergency department for STI care is just 1 symptom of a growing public health crisis. After decades of progress at reducing sexually transmitted diseases (STDs), the United States is seeing a dramatic reversal of fortunes. The CDC has documented sharp increases in the number of cases of chlamydia, gonorrhea, and syphilis since 2013. Chlamydia remained the most common infection with 1.7 million—almost half of which affected young women. Total cases of STIs reached an all-time high of 2.3 million in 2017. A client visited my office for the first time shortly after the Christmas holidays and found in my waiting room a pamphlet about Advent. "Are you Christian or something?" I said, "No, this is a private counseling office. I am not religiously affiliated." I was still uncertain about what had precipitated his question and concern. Later when I went out to my waiting room, I found the Advent pamphlet and a brochure about marriage encounter, Retrouvaille for couples considering divorce which is run by a Catholic group and wondered whether these materials had contributed to his concern. I said further to my client that my office is not religiously affiliated, and I don't discuss religion with clients unless they bring it up. He seemed reassured and the topic was dropped and we moved on to other things. I was trained in the bio-psycho-social model of Dr. George Engel which Dr. Engel developed in the late 60s and early 70s. Since the original formulation some practitioners have added "spiritual" so that we now have the "bio-psycho-social-spiritual" model. How is spirituality connected to mental health? A great deal of research has demonstrated that people with a spiritual life live longer and happier. This being the case, a good psychotherapist is attentive to the client's spiritual life as the client experiences and conceives it. Spirituality is different from religion and, while there may be some overlap, are often confused as being the same thing. Religion is about joining an organization and affiliating with some creed or set of beliefs, practices, traditions, norms, and values. Spirituality is about a relationship with a Higher Power whatever the individual understands the Higher Power to be. I removed the Advent pamphlet from my office waiting room because Advent is over. Will I put another one out there next year? I certainly don't want to offend anyone or give the wrong impression. On the other hand it is a discussion starter which often leads to rich and worthwhile conversations. 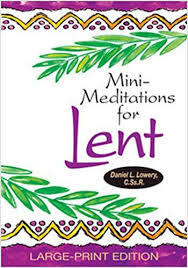 For now, we are approaching Lent and I probably will not be putting any lenten pamphlets in my waiting room. Yesterday, I had a full roster of clients, and it seemed that a common theme came up with many of them: the lack of purpose in their lives. It is easy to lose one's way in life and become depressed and anxious. Doctors tell people that their depression is related to problems with the neurotransmitters in their brains and that anti-depressants will help. Sometimes they do somewhat, but anti-depressants do not get to the deeper issue which is a lack of purpose and meaning in one's life. What to do about that? A lack of purpose and meaning in one's life is best addressed by a conversation with someone who is trusted, who understands, who can ask the right questions to help the person examine his/her life so the person can understand better what makes him/her tick, and what (s)he prefers in creating a more satisfying and fulfilling life. This review and search takes a caring relationship. It is a process, not a technique or "interention." With many of these clients, I ask them what they want to have gotten out of life in the next 1, 3, and 5 years. Usually they have no idea. They draw a blank. It is this lack of hopes, dreams, and aspirations that is the problem. As W. Edwards Deming said one time, "If you don't know where you're going, any road will take you there." Without a sense of purpose, people are lost. 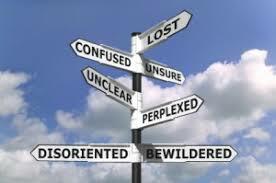 They are wandering in confusion, perplexity, distress. The three basic questions that we all struggle with throughout our lives whether consciously or unconsciously are: "Why was I born." "What is the purpose of my life?" "What happens when I die?" The research clearly has shown that psychotherapy works. 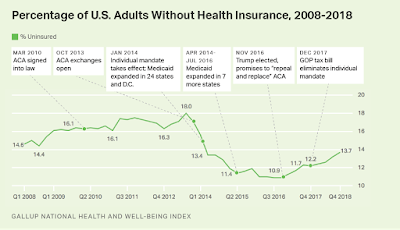 People do start to feel better and their functioning improves. In fact, research has shown that psychotherapy, in the long run, gets better outcomes than medication. People often call the office for the first time and their presenting complaint is "I am looking for someone to talk to." What do you suppose they mean by this? They have plenty people to talk to, but they have no one to talk to more intimately about the deeper concerns about their life. It is in this deeper discussion that one often finds, clarifies, and begins to recognize one's purpose in life. One of my favorite bumperstickers says, "Don't let public schooling interfer with your education." No child left behind is another travesty visited on the citizens of this nation by a government intent on keeping the citizens under control. 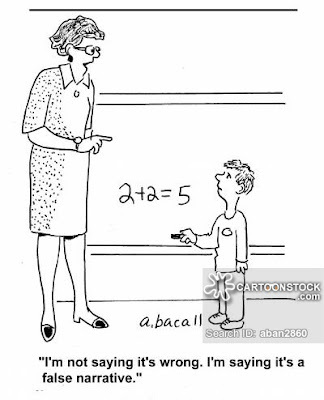 The emphasis on drilling kids in math and reading focuses on lower level skills but skips the elements of critical thinking necessary for citizens of a free and democratic society. 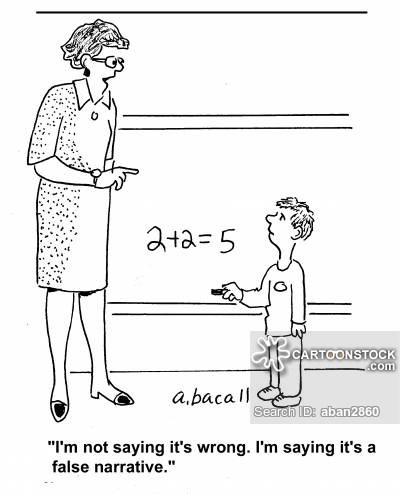 "Teaching children to think critically is not a parental responsibility much talked about in America today, for reasons we'll soon make clear. It's also a responsibility about which many parents would rather not be reminded. Show your kids how to think and there's no telling what they'll start questioning - their religion, family rules, the need to graduate." p. 240 Ibid. Here at Markham's Behavioral Health we are interested in education, how people learn, the function of education in society, how it constributes to human development etc. In 1986, my ex wife, Angela, and I started homeschooling four of our nine children. One of the big things I learned was the great variability in textbooks, how they are chosen by school districts, how teachers use them in their classrooms etc. I learned that some textbooks are very helpful in learning about a subject and some are garbage, yes, I wrote "garbage." After the first year of homeschooling, I no longer used the text books used by the school district because of their inadequacies. Choosing curriculum materials back in 1986 is a completely different activity with the expansion of the ecology of curriculum materials now available with the internet. If you are a parent, or a student yourself, the first very illuminating activity is to compare curriculum materials you can choose to study any given subject. The power to choose curriculum materials seems to me to be a major professional responsibility of teachers which, for the most part, is denied them by school boards, state ed departments, etc. If students are to take responsibility for their own learning, the first step is choosing their curriculum materials wisely. Besides the Opioid epidemic, drunk driving injuries and deaths, there is no greater public health threat to the safety and well being of Americans that the prevalence and incidence of gun violence. These public health problems are directly related to the mental health of Americans. For all the scare mongering the Trumpists do about immigration, most Americans support, 78% support immigration of highly skilled people. Thank goodness! The endodontist who did my last root canal told me he was from Libya. The surgeon who removed my malignant melanoma told me he was from Lebanon. The urological resident I just saw for my prostrate related UTI told me he was from Syria. When he told me he and his family was from Syria I started to weep and told him "I'm sorry." He thanked me and continued very professionally with our consultation. These questions often come up in counseling and, in general, workplace romance is always a bad idea. If it develops, at least one of the partners has to decide what's more important: the romantic relationship or the job? One has to go. Except in very exceptional circumstances both are not sustainable. As a manager in human service agencies, romantic relationships contaminate the team morale and contribute to staff splitting. The milieu quickly becomes toxic and it is a paramount supervisory responsibility to deal with the situation directly, explicitly, and firmly. Many human service agencies have "fraternization policies" and even consensual romantic relationships among staff are verbotten. On January 30, 2019, MBH reported some of the data about school lockdowns. Congresswoman Ocasio-Cortez does a great job exposing the corruption of our federal government. It is very enlightening to see how easily the game is played with corporate money buying our government. Can't remember the last real vacation. I often meet with people who have been diagnosed by their PCP with anxiety and depression and who have been given medications. When we discuss their situations, it becomes clear that they are suffering from burnout. Medications aren't going to help much until life style changes and work style changes are made. 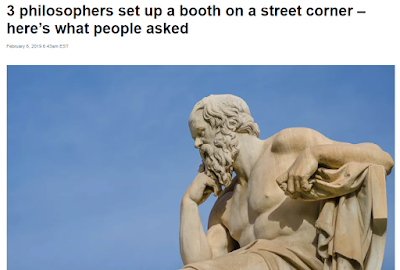 If you could, what would you like to ask a philosopher? Wait times for an appointment at Veterans Affairs hospitals have decreased since 2014 and are now, on average, shorter than those in the private sector, a new study shows. Researchers used V.A. data to calculate wait times for about 17 million appointments. The public sector data came from a survey conducted by a physicians’ search firm in nearly 2,000 medical offices in 30 major and midsize metropolitan areas. The study, in JAMA Network Open, covered four specialties: primary care, cardiology, dermatology and orthopedics. In 2014 the average wait time in V.A. hospitals was 22.5 days, compared with 18.7 in the private sector, a statistically insignificant difference. But by 2017, mean wait time at V.A. hospitals had gone down to 17.7 days, while rising to 29.8 for private practitioners. There is a new tag being used on Markham's Behavioral Health "success stories." 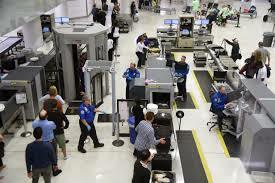 As Johnny Winter sings in his great blues song, Bad News, "Bad news travels like wild fire. Good news travels slow. That's why you hear that bad news every where you go. Talkin about bad news." Here on MBH we also provide good news in the form of "success stories." There is an organizational development model called "Appreciative Inquiry" which focuses on what is going right instead of what is going wrong. Also, Solution Focused BriefTherapy (SFBT) in psychotherapy focuses as much on what is working as well as the problems. So look for the success stories and pass them along. They will provide satisfaction, hope, inspiration, and gratitude. Labels: health care delivery, organizational performance, success stories, V.A. Editor's note: An area why this idea of misperception is especially egregious is in witness testimony in criminal trials where innocent people are falsely identified and purported to have done things they did not do. Witness testimonies are often inaccurate and unreliable. We tend to see what we think we should see rather than what is really there. Since 2000, more than 1.5 million people in the United States have been injured by a firearm, and a half-million have died. This total surpasses the combined U.S. military combat death toll of World Wars I and II. Of these gun deaths, 59% were suicides, and 37% were homicides (1). Mass shootings accounted for less than one-tenth of 1% (2). The mental-illness-and-mass-shooting narrative, as curated by the media, can perpetuate public misunderstanding and impede serious, broad-based efforts to both prevent gun deaths and improve mental health care. What about biased punishing of black girls in our society? Dr. Monique W. Morris gave an interesting TED talk which was published on 02/05/19 about black girls being unfairly targeted for punishment in schools. Dr. Morris' talk led to my thinking about Sandra Bland and Patrisse Khan-Cullors and Asha Bandele who started and organized Black Lives Matter and wrote the book, "When They Call You A Terrorist: A Black Lives Matter Memoir." When people deny that racism exists they are ignorant of some basic facts and dynamics in our society. Dr. Morris in 14 minutes gives us a little peep into what its like to be a black girl in our society. For the full TED talk video click here. "The national attention currently focused on reducing gun violence provides an opportunity to consider how to use this momentum to make significant headway in preventing suicide. Year after year, about two-thirds of all firearm deaths are suicides (1). Evidence indicates that the availability of firearms is related to suicide rates. In regions that experience changes in levels of gun availability, suicide rates change in the same direction; people who buy firearms are more likely than otherwise similar peers to die by suicide; and people who die by suicide are more likely to live in homes with firearms compared with seemingly similar people who did not die, as well as those who died from other causes (1). There is evidence and a broad consensus among experts who favor both restrictive and permissive gun policies that not all individuals who are prevented from firearm suicide will die by another method of suicide (2). The great myth in American society is that the possession of guns makes people safer. The public health data leads to the opposite conclusion. The possession of guns makes it more likely that the gun owner and immediate others will die by a gun than not. Adolescents and young adults living in states with more liberal policies reported higher average rates of past-year cannabis use than those in states with more conservative policies, according to a new study conducted at Columbia University Mailman School of Public Health. 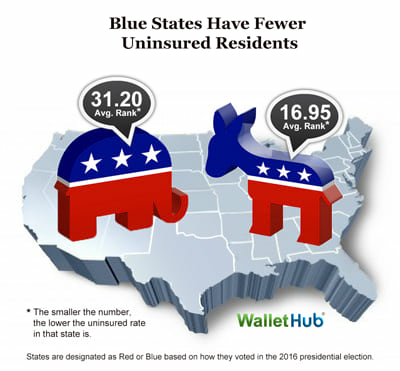 However, the rates of cannabis use disorder -- abuse or dependence on the drug -- were significantly lower in states with more liberal policies compared to states with more conservative policies, for ages 12 to 17, and marginally lower for ages 26 and older. These results remained significant even when controlling for the presence of medical cannabis laws. This study is one of the first to assess the relationship between policy liberalism and health outcomes, and specifically cannabis use-related outcomes. The findings are published in the International Journal of Drug Policy. Do you have the integrity and courage to take the road less taken? 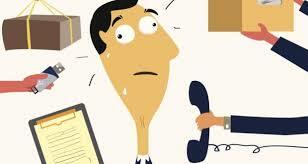 Had a discussion Monday with a 30 year old client who has been struggling to discern his calling in life. He told me how he had started down a path the last couple of months and decided last Friday that it wasn't for him. He shared with me the relief he felt in deciding not to continue to struggle with something that just didn't seem right for him. His major fear, he told me, was disappointing the people who had been cheering him on. Well, "to thine own self be true" and if one lives one's life for others, life is very short, but if one lives one's life listening to a different drummer than the one society wants him to listen to, it can be very long and fulfilling. And then this evening I stubbled across this beautiful TED - ED rendition of Robert Frost's wonderful poem, "The Road Not Taken". Rilke said, "We should live the question." It takes integrity and courage and requires, sometimes, that we take the road not taken and it can make all the difference to our life. The client and I talked about discerning God's will for us. "Living the question" with integrity is done with a willingness to discern who it is that God is calling us to become and what it is that God is calling us to do with our lives. Responding to God's will often takes faith and courage. "A record number of Americans understand that climate change is real, according to a new survey, and they are increasingly worried about its effects in their lives today. 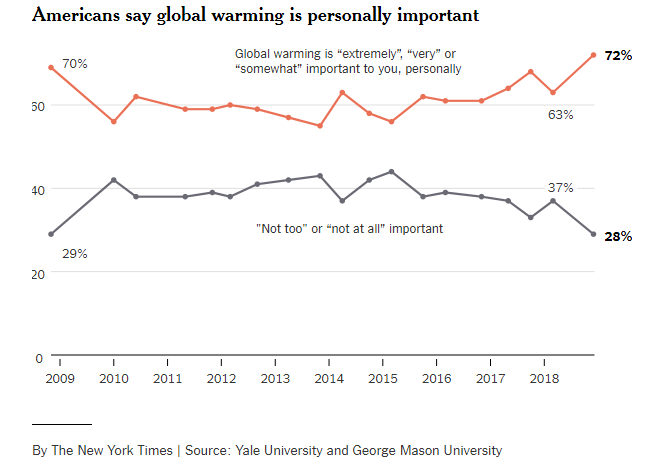 Some 73 percent of Americans polled late last year said that global warming was happening, the report found, a jump of 10 percentage points from 2015 and three points since last March. 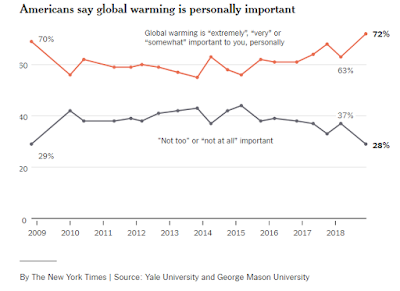 The rise in the number of Americans who say global warming is personally important to them was even sharper, jumping nine percentage points since March to 72 percent, another record over the past decade." It is a sign of hope that more Americans are becoming "reality based" instead of being duped by "fake news" and false beliefs promulgated primarily by politicians who have been elected due to financial support from fossil fuel companies into believing lies, fabrications, equivocatons, and disengenuous nonsense. Exxon Mobile and other fossil fuel companies have known for years that the carbon emissions created by the burning of their products is affecting the climate of the planet earth. These companies, fearing a negative impact on their financial revenues, have kept this information not only secret, but have propogandized the American public and their elected policy makers into believing the opposite. With the awareness of the American citizens rising to the truth of the matter, we can hope, working together, that we can mitigate the problem of carbon emissions and other climate destroying practicies we have created and participated in. The truth can set us free but it takes more that just consciousness, we need to bring our awareness into application by changing climate damaging policies and practices. This means many things but perhaps the most sigfniciant for positive change at the macrosystemic level will be electing policy makers who are not afraid of the truth and who will act on it. It does no good to simply speak truth to power if power has no use for the truth. It is time to change those whom we give our power to who will do the right thing to enhance the well being of our planet and all the things that abide here. 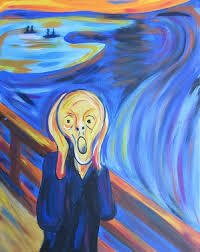 Can we overcome the psychosis in our society and come to "really see?" Tim Folger writes in the forward to The Best American Science and Nature Writing 2018 about the corruption of speech in our national conversations facilitated by cable news and social media. Mr. Folger points out that this corruption was foretold by George Orwell in his novel 1984 when he coined the term "Newspeak." This idea of the creation of propaganizing memes is at the heart of what is being called in the Trumpian age, "fake news." "Early in 2017, for some strange reason, George Orwell’s Nineteen Eighty-Four suddenly jumped to the top of Amazon’s bestseller list. Orwell laced his dystopian novel with Newspeak, the language of Oceania, one of the story’s perpetually warring states. Here’s a short sampler of its Big Brother–approved vocabulary: minipax—the Ministry of Peace (Oceania’s war department, not to be confused with our Department of Defense); prolefeed—mindless mass entertainment; malquoted—what today’s authoritarians would call fake news. And then there’s blackwhite, a synecdoche for all the perversions of Newspeak: to believe that black is white. Our own leaders have given us “enhanced interrogation,” “collateral damage,” “clean coal,” and so many more." Kean, Sam. The Best American Science and Nature Writing 2018 (The Best American Series ®) . HMH Books. Kindle Edition. These propaganizing memes cannot be stopped because the means of dissemination are obiquitous. The best hope for restoring sanity to the members of our society is making them aware of the forces of communication which are being deployed to influence them so they can choose their own thoughts, beliefs, and behaviors and not just react in mindless ways. In psychiatry, "psychosis" is a term of servere cognitive disorganization which places the person suffering from it out of touch with reality. It seems that we are witnesses to this daily in our news stories from politicians who express inaccurate ideas which do not correspond with any reality other than the one they are intending to create in their target audiences with their own dissembling. Marianne Williamson, a Presidential candidate, tells us we have to "really see", "not just look, but really see." This ability to "really see" requires a maturity, a nonreactivity, an ability to apprehend a spiritual vision of self, community, and society which far exceeds what we have been led to hope for from politics. "Medical social workers are integral parts of the hospital and oversee much of the non-medical aspects of a patient’s recovery. Their duties include assessing the social and psychological states of the patient, leading counseling and group therapy sessions, working with loved ones on a plan of treatment after discharge from the hospital and referring patients to community resources. At the University hospital, each social worker is assigned to a specific unit — such as surgery and trauma, pediatrics or psychiatry. With each new admission into the unit, they look through the patient’s medical history for indicators that a social worker needs to be involved in their case. A few of those indicators include mental health history, a poor prognosis, a history of substance abuse, homelessness and history of child or domestic abuse. A social worker will meet with a patient and conduct social and psychological assessments if the patient has an indicator on file or if the social worker simply feels the need to. It is important to recognize and acknowledge that a person is not his/her body. The person's psyche and relationships are as important, if not more important, than the person's physical manifestation. A significant question is whether a person is a body with a spirit or a spirit with a body? Modern medicine is comprised of techical prodcedures which focus on assessment of physical functioning and with tunnel vision, all too often, overlook the person's psyche and soul. Social Workers are trained in the bio-psycho-social-spiritual model of the human experience. With this training, Social Workers engage with the whole person not just the piece of meat in which their psyche is encased. While Social Workers strive to help people with a "cure for what ails them" they also attend to the healing of the whole person and their relationships when it is desired and appropriate. "That thing that you do," or "that thing that always happens to you" is the key idea of Schema therapy. Back in the 60s this idea of repetitive patterns of behavior was popularized as Games People Play by Eric Berne, the father of Transactional Analysis. Several decades later the idea of dysfunctional repetitive patterns of behavior became offical with the DSM - III (Diagnoses and Statistical Manual of the American Psychiatric Association, third edition) axis 2 diagnoses of personality disorders. There is a new tag being created on MBH, "games people play" which will identify articles which describe these repetitive patterns of behavior at the micro, mezzo, and macro levels of human interaction. One of my favorites which is played on the macro level by politicans is "Be Afraid." The thesis is that if the politican can manipulate people with fear, (s)he can get their votes and/or support for the policy they are promoting. There are new examples of this game presented to us daily in our news. The memorable examples are "WMD," Weapons Of Mass Destruction, which garnered support for the wars in Afghanistan and Iraq during the George W. Bush administration. Most recently we have experienced the "Caravan Invaders" game perpetrated by President Trump and the Republicans. The aim of the game is to generate fear to obtain supporters for one's election and policies. The targets of the game are willing victims. They are the dupes in a con job. The roles of the victims of the game are to vote, cheer, and fight, if necessary, for the perpetrator. There are nemeses of the perpetrator who unwittingly attempt to fight the perpetrator's moves but often only reinforce them, and strengthen them through polarization from the generated adversity. The nemeses moves makes the bogus fear real and credible through repetition and heightened visibility. The best antidote for this game is simply not to play by changing the subject, redirecting the focus, side step the whole attempt to propagandize, and offering the perpetrator's targets more attractive options. What was the antidote to the WMD hysteria? Focusing on the grief and fears of our nation after 9/11 by having more rituals of mourning and analsyis of factors which contributed to the attack, and efforts to rebuild and repair our relationships around the world. What was the antidote to the Caravan Invaders? Focusing on what other candidates would do to address the real problems of the American people. 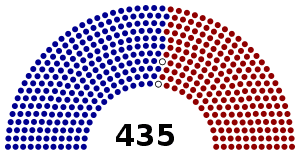 This is what was done, and these candidates obtained the votes from the targets of the game to move the nation's functioning onto a more constructive path. The key idea in game analysis is to be able to name the game. The ability to name the repetitive pattern of dysfunctional behavior enables our ability to manage things better. Rather than being victimized by social, political, and emotional forces we don't understand and are confused by, we see the game being played, and once we are aware, we have the power to choose to do things differently and in a better way. What do Child Protective Workers think about their jobs? Child Protective Workers in Hennepin County Minnesota describe their work. Hennepin County gets 20,000 CPS reports per year which is 60 per day. This video was published on 01/15/19. Gender stereotypes can hurt children -- quite literally. 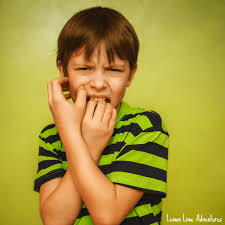 When asked to assess how much pain a child is experiencing based on the observation of identical reactions to a finger-stick, American adults believe boys to be in more pain than girls, according to a new Yale study in the Journal of Pediatric Psychology. The researchers attribute this downgrading of the pain of girls and/or upgrading of the pain of boys to culturally ingrained, and scientifically unproven, myths like "boys are more stoic" or "girls are more emotive." Question: Is it helpful to go back and talk about past abuse? Answer: It is to identify the trauma that occured so that the thoughts and feelings about it can be managed. Dr. Freud, the father of psychoanalysis, said that you can either talk it out or act it out. Children act things out all the time and their parents tell them, "Stop crying and use your words." 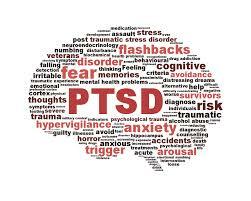 Once the trauma has been identified strategies have to be developed to manage it to diminish or eliminate the influence that it has on one's current functioning. A trauma informed therapist does not ask, "What is wrong with you?" but rather "What happened to you?" It is not helpful to prolong a sense of victimization. To rise above victimization a person has to identify what happened, figure out how to manage it, and move on. This work is often best done with a professional but can be done with nonjudgmental others as well. Media watch - Is Twitter good for your mental health? Is Twitter the crystal meth of newsrooms asks journalist David Von Drehle in the Washington Post on 01/25/19? Twitter is not only the crystal meth of newsrooms but of social media addicts and internet news junkies. Twitter and other social media are having huge impact on human societies around the world. It is an impact we barely understand. Misinformation, propaganda, illusory understanding, and triggered emotional arousal leading to group think and herd like behavior similar to the two minutes of hate in George Orwell's 1984 are a few of the consequences. Is Twitter good for our mental health? We will be researching this question and reporting in future articles on MBH. Will American Catholics be disqualified from death penalty juries because of Pope Francis' declaration that the death penalty is immoral? Will Pope Francis' declaration in August, 2018 that the death penalty is morally unacceptable in all circumstances disqualify American Catholics from serving on death penaly cases? And if these American Catholics are disqualified from serving on death penaly cases does that make it more likely that the death penalty will be used in the United States? Death penalty abolitionists hold out hope that the pope’s new call to action may eventually sway the American public: Catholic voters and politicians might become more inclined to repeal the death penalty, Catholic prosecutors might increasingly exercise their discretion not to pursue capital punishment, and Catholic judges (including the five Catholic justices on the Supreme Court) might grow more receptive to legal arguments that limit the practice. A change in public opinion could also influence the Supreme Court, which considers society’s “evolving standards of decency” in evaluating whether a punishment is “cruel and unusual” under the Eighth Amendment. But because of the anomalous way we select juries in capital cases, greater opposition to the death penalty among Catholics could, counterintuitively, increase the number of death sentences imposed in this country. Such opposition could even solidify judicial support for capital punishment. This paradox is possible because of a process called “death qualification,” in which a judge can disqualify certain prospective jurors who are opposed to executions. 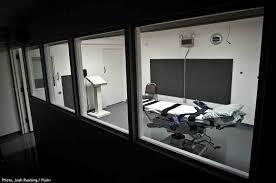 The pope’s sharpening of the Catholic position on the death penalty helps reveal the problems with this system."